TOP SPECIFICATION, LOW MILEAGE EXAMPLE WHICH IS A REAL CREDIT TO IT'S 2 OWNERS FROM NEW WITH AN INCREDIBLE SERVICE HISTORY OF 13 SERVICE STAMPS HAVING ONLY COVERED 57,000 MILES. COMING COMPLETE WITH A NEW 12 MONTH MOT, 12 MONTHS COMPREHENSIVE NATIONWIDE WARRANTY AND 12 MONTHS AA BREAKDOWN COVER. JUST ARRIVED! 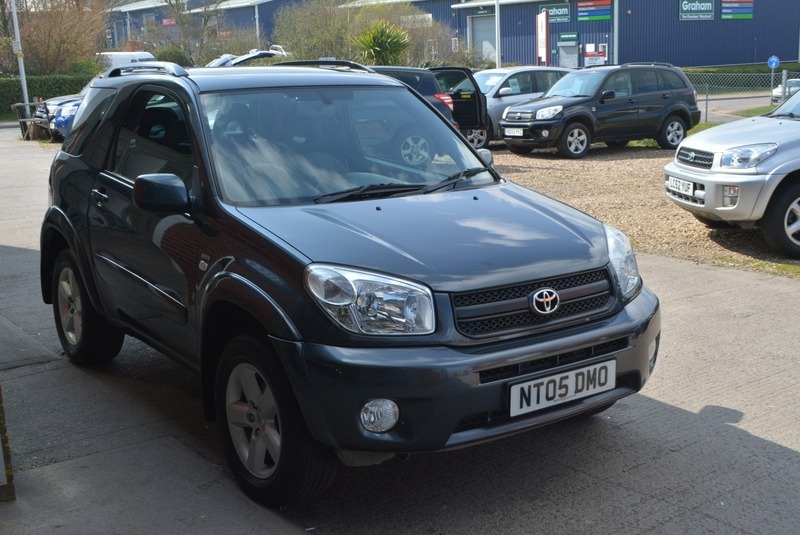 Here we have a stunning TOYOTA RAV4 XT-R VVT-I 2.0L PETROL MANUAL 3 DOOR 4X4 in the best colour of carbon Quartz grey metallic with two tone grey cloth interior in truly exceptional, unrivalled condition throughout. Full service history at intervals of 3k, 7k, 10k, 13k, 16k, 21k, 25k, 28k, 33k, 37k, 41k, 48k, & 55k having now only covered an incredible 57,000 miles. Coming fully equipped with a factory fitted electric glass sunroof, cruise control, alloy wheels, climate control air conditioning, rear mounted full size spare alloy wheels, fully folding and completely removable rear seats, electric windows, am/fm stereo with front loading cd player, electric mirrors, two fully remote keys and one non-remote service / valet key. UNBELIEVABLE VALUE, LOW MILEAGE AND UNPRECEDENTED SERVICE HISTORY - WHAT'S NOT TO LIKE?